CHICAGO – Family 4-packs! In the latest HollywoodChicago.com Hookup: Film with our unique social giveaway technology, we have 20 family 4-packs (80 seats in total) up for grabs to the highly anticipated animated comedy “The LEGO Movie” starring Chris Pratt! Note: When entering, you MUST enter your preference for a family 4-pack or admit-two tickets. “The LEGO Movie,” which is rated “PG” and opens on Feb. 7, 2014, also stars Will Arnett, Will Ferrell, Morgan Freeman, Jonah Hill, Elizabeth Banks, Charlie Day, Will Forte, Nick Offerman, Liam Neeson, Alison Brie, Craig Berry, David Burrows, Anthony Daniels, Amanda Farinos, Keith Ferguson, Dave Franco and Todd Hansen from writers and directors Phil Lord and Christopher Miller and writers Dan Hageman and Kevin Hageman. To win your free “The LEGO Movie” passes courtesy of HollywoodChicago.com, just get interactive with our unique Hookup technology below. That’s it! This screening is on Saturday, Feb. 1, 2014 at 11 a.m. in downtown Chicago. The more social actions you complete, the more points you score and the higher yours odds of winning! Completing these social actions only increases your odds of winning; this doesn’t intensify your competition! at 10 p.m. CST. These Hookup winners will be awarded via e-mail that night. “The LEGO Movie” is the first-ever, full-length theatrical LEGO adventure. Directed by Phil Lord and Christopher Miller (“21 Jump Street,” “Cloudy With a Chance of Meatballs”), it stars Chris Pratt, Will Ferrell, Elizabeth Banks, Will Arnett, Nick Offerman, Alison Brie and Charlie Day with Liam Neeson and Morgan Freeman. The original 3D computer-animated story follows Emmet (Chris Pratt): an ordinary, rules following, perfectly average LEGO mini-figure who is mistakenly identified as the most extraordinary person and the key to saving the world. He is drafted into a fellowship of strangers on an epic quest to stop an evil tyrant – a journey for which Emmet is hopelessly and hilariously underprepared. 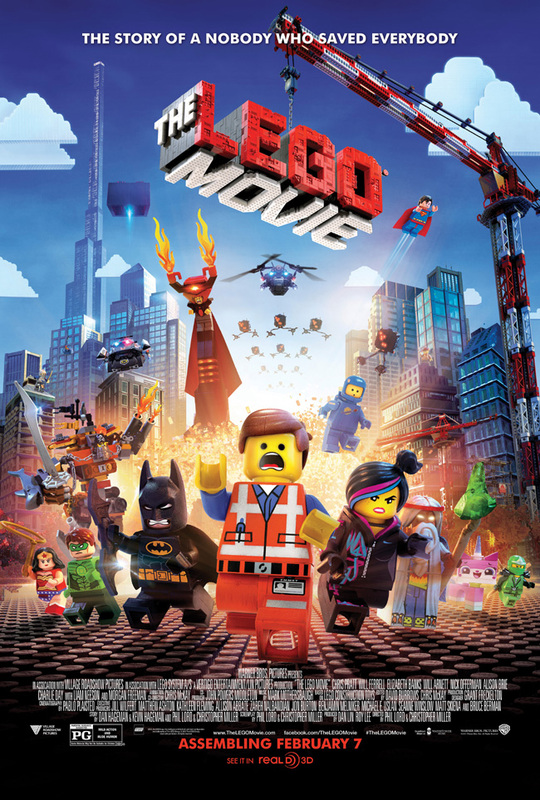 The movie poster for “The LEGO Movie” starring Chris Pratt and Will Arnett. This HollywoodChicago.com Hookup is simple! Just get interactive in our unique Hookup technology above. We will award 80 seats in total (either as family 4-packs and/or admit-twos) based on social entry numbers and/or randomly via e-mail for our “The LEGO Movie” Hookup. Good luck!